These reviews are based on samples provided by the winery or organization acting on their behalf. This will be my first exposure to Lenné. My appreciation for Oregon Pinot Noir wines has grown steadily over the last few years. 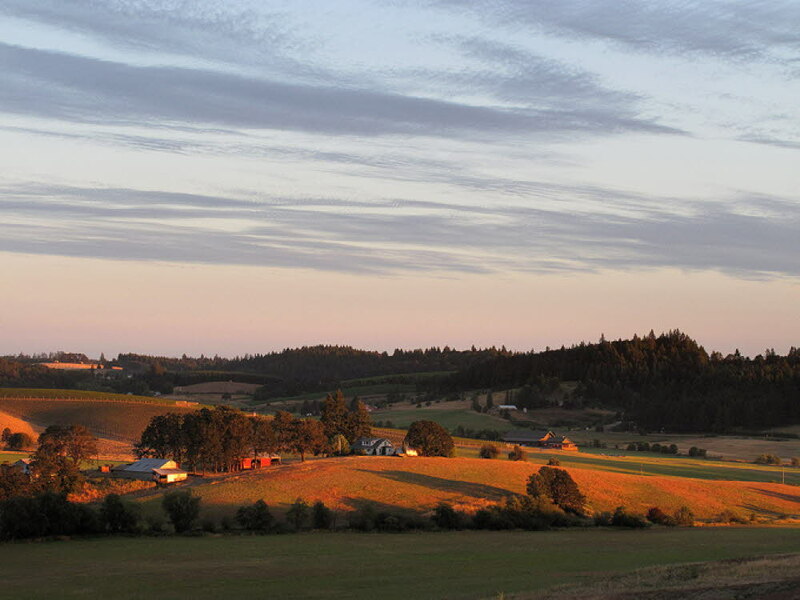 I was pleased to see the winery’s vineyard shares a ridge with one of my favorite Oregon Pinot wineries, Penner-Ash. The Lenné history starts in 2000 when Steve and Karen Lutz bought the 21 acre site. Beginning in 2001, Steve has planted about 15 acres of vines in their steep, south facing vineyard near the town of Yamhill. The vineyard is dry famed in some of the poorest vineyard soil in the country. This caused a high mortality rate for the young vines, but in the long run will cause the root systems to dig deep for water and nutrients, resulting in better wine. The winery is named after Karen Lutz’s late father, Lenny. Much more information about the winery, vineyards and people behind this wine is available on their website by clicking here. #winechat is a weekly, Twitter based discussion about something dealing with the world of wine. Generally, each week’s chat session deals with a specific theme and is lead by an “expert” in that area. This is generally a nice way to learn about a region, winery, type of wine, etc. What is #WineChat? Click here to learn more. How do you join #winechat? Using a tool such as Hootsuite, log into your twitter account & follow the #winechat stream. Be sure to include #winechat at the end of each tweet so everyone in the stream can see you! Grab a glass and join in! The #winechat schedule is available on their Facebook page by clicking here. #winechat is hosted by Protocol Wine Studio. For more information on them, click here. The grapes for this wine were cold soaked for five days before inoculation after being gently de-stemmed. The must was fermented at moderate temperatures. After fermentation, the wine was racked into small French oak barrels, 42% new, and aged for 11 months. The best barrels were selected to be used for this wine. There were 225 cases of wine produced and the final alcohol level is 13.6%. The bottle is sealed with a natural cork with a small circle of hard wax covering the cork. This wine needs an hour or two of air to fully open up and show at its best. Personally, I’d recommend leaving the wine in a cool, dark corner of your cellar for two years. 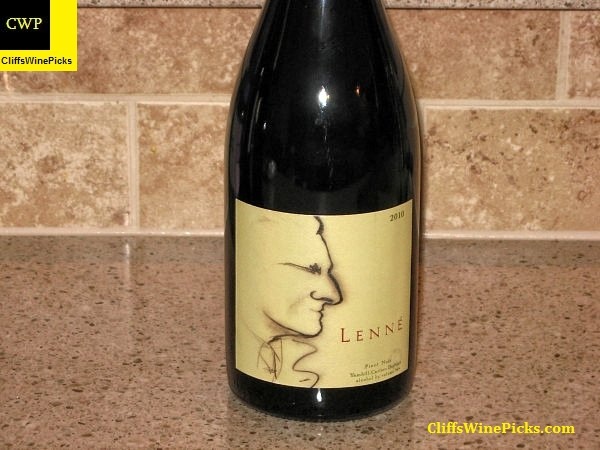 This winery has joined my list of my top 5 Oregon Pinot Noir producers. The others on that list are Penner-Ash, Soter, Helioterra and Belle Pente. Underground Cellar is offering you a chance to win an all-inclusive VIP weekend in Sonoma wine country. Rountrip airfare, luxury transportation, and many other surprises! Click here to enter. If you win, you can even include me as one of your friends. Even if you don’t win the grand prize, there is over $3,000 of gift cards with a value of up to $200 to be given away. While you’re there, check out Underground Cellar unique wine selling model. You can “buy” a lower cost wine and get upgraded to a much more expensive bottle for free. For example, one of their current offers is $42 for a 2008 Balboa Brioso. If you buy this wine, you could get “upgraded” to 2007 Stonestreet Monument Ridge Cabernet ($60 value), 2009 Caymus Napa Valley Cabernet ($85 value), 2007 Anderson’s Conn Valley Reserve Cabernet ($130 value), 1994 Beringer Cabernet Sauvignon ($150 value), or even a 1985 BR Cohn Cabernet Sauvignon Olive Hill (Helen Turley) with a value of $220. The shipping is also incredible, at 6 bottles, shipping cost $5! Buy 6 more bottles and ship for FREE.